Have you experienced a loss and feel all alone? 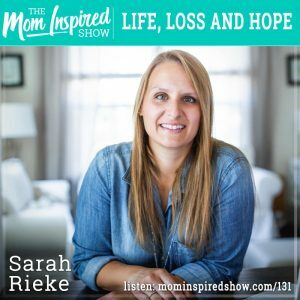 Today we have Sarah Rieke on the show and we talk all about loss and grief. She discusses with us how we can help loved ones through grief as she shares her journey with losing two full-term infants. Sarah’s new book is about her own personal story and how the Lord sustained her through both of those losses and took something that was broken and brought beauty to it. One topic that really touched my heart is Sarah wanting women who experience the brokenness of this world will come to find the same hope in brokenness because of the beauty of Jesus can bring. Hear what she says about this topic and more on the podcast. *Discount is for first-time customers… If you’ve done this program before, we haven’t forgotten about you! Click here to get $10 off.